AAA is the highest creditworthiness ranking, and the Gold Diploma is issued to companies that have maintained an AAA rating over 15 consecutive years. 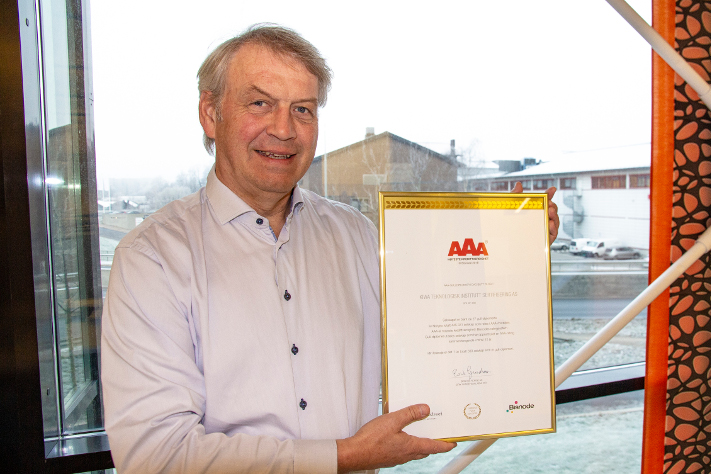 Only 27 out of 445,331 companies in Norway have received this diploma, and Kiwa Teknologisk Institutt Sertifisering AS is the only company in its branch of industry to achieve this. For more information, contact Jørn Are Granerud, Jorn.Are.Granerud@kiwa.com.